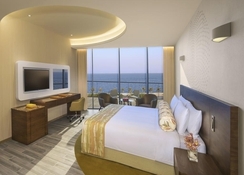 The Retreat Palm Dubai MGallery by Sofitel is the foremost well-being resort in UAE. The hotel is home to the world's first Rayya Wellness focus – a theory of wellbeing and personal transformation of mind, body and soul. This sumptuous inn in Dubai offers immersive, charming encounters that move long lasting recollections. 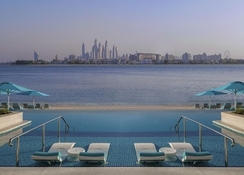 The one of a kind spa resort is a tranquil haven concealed in a great, disconnected area on the shores of Dubai's Palm Jumeirah. The hotel features top-notch accommodation in five categories to match the needs of discerning travellers. There are four dining and drinking options in the hotel, which is surely some good news for the foodies. In addition to this, there is a massive outdoor swimming pool with sun beds and umbrellas. 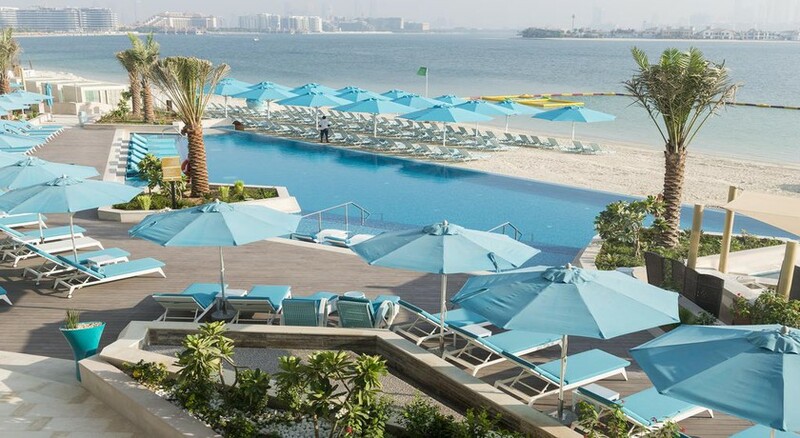 The Retreat Palm Dubai MGallery by Sofitel is nestled in a secluded area on the East Crescent of The Palm Jumeirah, only a short drive from the city's shopping centres and vacation spots. 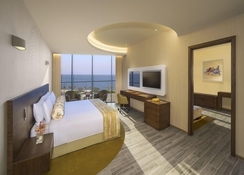 The resort is 28.7km from Burj Khalifa and 28.6km from Dubai Mall, 40km from the IMG Worlds of Adventure and about 50km from the Al Maktoum International Airport. 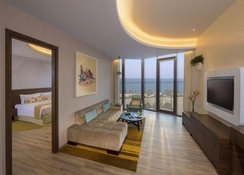 Flaunting dazzling panoramic views over the Arabian Gulf and Palm Jumeirah, each one of the 255 open rooms and suites highlight the surrounding natural components, all judiciously chosen to improve tranquillity and solace. The rooms come in the following categories: Classic Room, Club Room, One Bedroom Suite and Royal Suite. 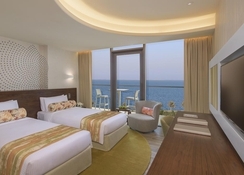 With the choice of extravagant king or twin beds, and the availability of interconnecting rooms and suites, the hotel’s lavish rooms offer an assortment of elite touches, including a one of a kind turndown gift, an extraordinary cushion menu and a scope of organic-certified shower items. The rooms and suites likewise have cutting edge in-room amusement and the newest connectivity amenities, including a devoted app, so that you can take advantage of room service without leaving the solace of your bed. Some of the amenities in the rooms include floor-to-ceiling windows, private balcony, complementary W-Fi, flat screen TV, mini bar, separate shower with bathtub, complementary access to the club lounge with breakfast and In-room service. Eat in style in a selection of extravagant restaurants and bars, each offering a one of a kind affair, from naturally fermented coffee in the inviting environment of the Chapters lobby cafe, healthy fresh juices and snacks in a casual setting by the Ripples pool bar, to a dazzling supper in the rich surroundings of the Vibe Restaurant, which is available throughout the day or the specialty restaurant-The Social Kitchen in the hotel. The eateries serve a choice of healthy delicacies, made utilizing locally sourced items, for example, camel's drain items and other precisely chose and locally grown organic ingredients. The Retreat Palm Dubai Mgallery By Sofitel is the home of the world's first Rayya Wellness centre. Offering a scope of holistic tailor-made health and well-being packages and programmes, the hotel features a superfluity spa, a high-tech gym, a wellness clinic and an array of recreation amenities. Other facilities include an outdoor swimming pool with sun loungers and umbrellas, consultations with lifestyle coach, rejuvenating yoga sessions, laughter yoga and much more.